Former UFC heavyweight title holder Brock Lesnar is expected to make his octagon return this year against reigning division champion Daniel Cormier. However, before Brock can square off with “DC” he will have to pay the $250,000 fine he still owes the Nevada State Athletic Commission from his failed drug test at UFC 200. According to a report from MMAWeekly, the current WWE Universal Champion has yet to fork over the cash. Until he does, Lesnar will remain indefinitely suspended by the commission. If you recall, Brock Lesnar was granted a special testing exemption from USADA in order to compete against Mark Hunt at UFC 200. “The Beast” went on to dominate “The Super Samoan” that evening in Las Vegas, earning a lopsided unanimous decision victory. However, Lesnar’s victory over Hunt was later changed to a no-contest, this after it was revealed that he had flunked a pre-fight drug test with USADA. Mark Hunt has since filed a lawsuit against both the UFC and Brock Lesnar over the incident. March’s UFC 235 event in Las Vegas has been discussed as a potential landing spot for the slated Lesnar vs. Cormier heavyweight title fight. Brock Lesnar, who is the current “Universal Champion” of WWE, is confident that he can make quick work of “DC” if they collide later this year. 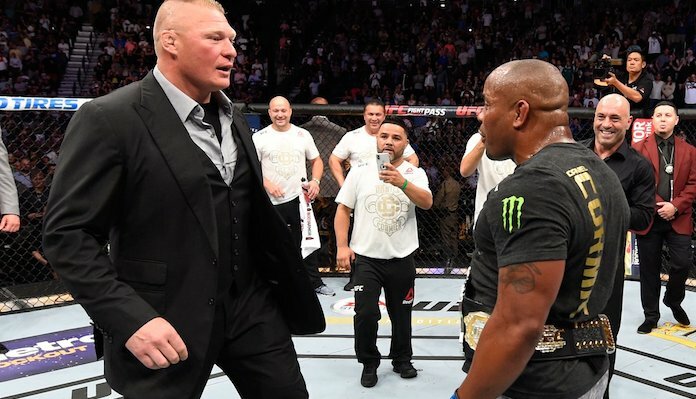 If a bout with Brock Lesnar fails to come to fruition, Daniel Cormier has stated that he is open to a rematch with former division title holder Stipe Miocic. Cormier knocked out Miocic in the first-round of their fight at UFC 226 to become only the second fighter in promotional history to hold two titles simultaneously. “DC” has since relinquished his UFC light heavyweight title, which is now (once again) held by his bitter rival Jon Jones. 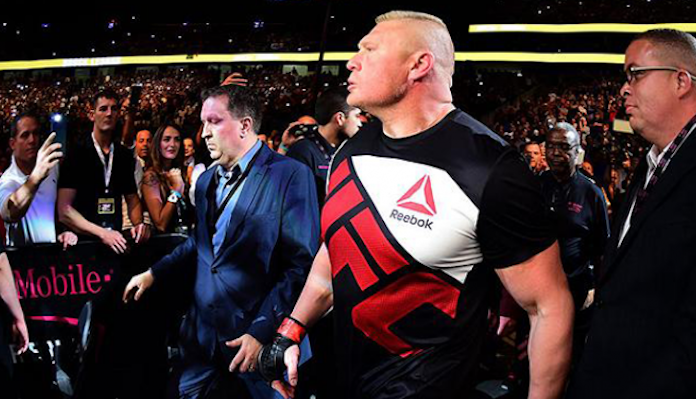 Do you think Brock Lesnar is the man to dethrone current UFC heavyweight champion Daniel Cormier? Sound off in the comments section PENN Nation!